Now Offering Top Brass Services! Our Business Process Consulting and Financial Analysis done by our Efficiency Experts. Get your Monthly financial analysis and any cost savings and process efficiency improvements. Get a finger on the pulse of your business today! Call us at 912-376-9918 for details. We provide year-round services to small businesses saving thousands of dollars in the process. Total savings: $12,720 a year with our fees already taken out! What would you do with an extra 12k (or more)? Don't think you can afford an accountant? You can't afford not to. Each of our service offerings can be customized to fit your business needs, whether you want ongoing monthly service or just need some help setting up your books for the first time. Accounts Payable and Receivable – Do you put off bill paying? We make it easy by keeping track of bills that are coming due by scheduling payments and eliminating late fees. We also analyze the cash flow of the business to recommend when certain bills get paid early, in order to take advantage of key discounts. Budgeting and Forecasting - We can create a comprehensive budget for your business and benchmark the health of your business. Day-To-Day Bookkeeping Services – We help set up daily, weekly or monthly systems (depending on your volume) to manage all your receipts and expenditures. Interpret Financials - We can help you interpret your financial information so you can make informed financial decisions; whether it’s a good time for a large purchase or ensuring that your products and service offerings are profitable. 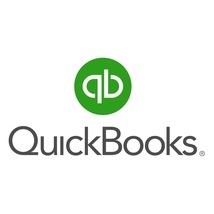 QuickBooks Set-Up - If you are setting up your business for the first time or new to QuickBooks, we can help initialize your company and set up the software for you.